I continued doing what I did: stored it whole in plastic bags, using chunks as I needed them, carving away any softening mass as well any mold as soon as I saw it. Needless to say, I have wasted a lot of ginger over the years. Until that day when I ripped the plastic bag in a hurry and a small piece of ginger slipped out into my crisper. I wasn't really sure how long it lay there—exposed to the elements in my crisper— but it was in much better condition than any of its stem-mates that had previously spiced my meals. I wondered if I had hit upon the best way to store ginger. This discovery-by-mistake needed to be tested and verified! So I did. The knobby rhizomes in the pic have been stored unwrapped in my crisper for exactly 4 weeks thus far and will probably go another week or two, just because I bought so much ginger. When I see a price of $1.29/lb, it goes without saying that I have to stock up. Prices usually range from $1.79-$6.99/lb, depending on which store you are at. In other news, I now write a monthly column on Indian food on Whole Foods' Cooking Boulder, a cooking portal powered by Food52. Bengali Masoor Dal, an aromatic dal thanks to the magical powers of panch phoron, is my latest post. Also, check out my first post on Spiced Sweet Potatoes that explains some basics of phodni or tadka, the art of seasoning hot oil with spices, also known as tempering within the Indian subcontinent. I hope you stop by! its surprising how many people assume ginger refers to dried ginger, I've succumbed & started referring to it as fresh ginger root! I actually had to look up crisper, and as far as I understand it, it's the veggie compartment at the bottom of the fridge. Now I know that expensive US fridges have moisture control in their veggie compartments. Our very basic (but very energy-efficient) model, however, doesn't, which means there's always high humidity in there. I rather keep my ginger in the fridge door, in the open air, where it's dry enough to not catch mold and usually cool enough to keep it fresh for weeks. And I didn't know about the root part, so thanks for the education! Also, again, in Dutch, the word for ginger is gemberwortel, which literally means ginger root. The Dutch are funny that way. 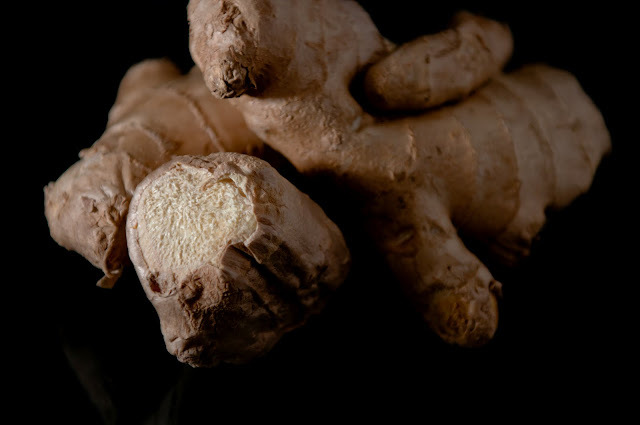 In my experience, freezing ginger root turns it to soggy, tasteless mush. I grind equal amounts of fresh garlic and ginger root with a good splash of olive oil and some turmeric. Store in an airtight glass jar in the fridge. Since this is a base for so many of my favourite dishes, it's nice to have on hand ready to go. I've stored it for up to 2 mos without it going bad or anything, it may last longer but I always use it up before long. Alternately, you can pack into an airtight glass jar and cover with dry (unsalted) sherry. Ummmm...but that is how I did it all the time, didn't know any other ;-) I keep mine in that small box where I put forgotten stuff, the ginger I remember. I love in a place were we don't have a indian store so when ever i go to the indian store i buy heaps of ginger and then peel them, cuth them in small cubes and freeze them and then i have them for few months untill i go to the store again, it seems to work for me,when i use i take them form the freeze and then grate them or slice them straight so it doesn't feel mush. You guys are a lot smarter than me! Looks like most of you store your ginger unwrapped, unlike me who painstakingly has everything in separate plastic baggies. You guys are awesome! Panfusine, noooo! Please, no! Fresh ginger if you need to make a distinction but no root! Please! GB, maybe if we all speak up, they will drop the root? Arundati, moldy is ick. Glad you figured it out, too! 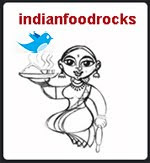 Anjali, thanks so much! You're a sweetheart! Gabi, even my crappy old Indian refrigerator had a crisper but I don't think it functioned as anything but storage for veggies. By crappy, I mean the kind that has a freezer inside the main compartment, that gets frosted over and you have to fight with it to get your ice-trays out. And then when you defrost it, there's a major puddle in the kitchen. I hated those days. It was not energy efficient, that's for sure! You're right, the Dutch are really interesting! Anna, that's precisely the reason why I hate freezing ginger. Since the texture also changes, there isn't much chance of getting any nicely chopped or julienned ginger in my food. Thank you for those two great ideas. I hadn't considered adding oil or sherry to keep a paste from spoiling or losing flavor! BM, like I said, you guys are much smarter than I am! Finla, I think both love and live are true! Hee! :-D Try what Anna suggests and see if you find a difference. I was Queen of the Freezer until I started becoming more aware that some things just lose their flavor, especially fresh aromatic spices. People freeze curry leaves, too. I would just not use any. There's no flavor in frozen curry leaves nor in dried ones. Forget it! But I wouldn't be able to do completely without ginger. Hey, you've got to make the most of your circumstances and find a solution. If your trip is once every 3-4 weeks, try keeping a chunk of ginger unwrapped and see if you notice any difference between that and frozen ginger. Manisha, I got so wound up on "the ginger question" I forgot to thank you for the recipe this week!! This is one of my favourite recipes of all time, in its many permutations. I store my ginger outdoors on the counter both in summer and winter ( in a brown paper bag when its too dry) and here in the Netherlands, that has not been an issue. It dries out a bit if it stays on for 2 weeks or more...but given how much ginger we consume, that almost never happens! That's where I store mine too! :) I wish you had asked..or noticed! I store mine in mesh bags my MIL got me from India. The bag of course goes in the crisper. Plus, I have high turnover of ginger so I am constantly replenishing it. 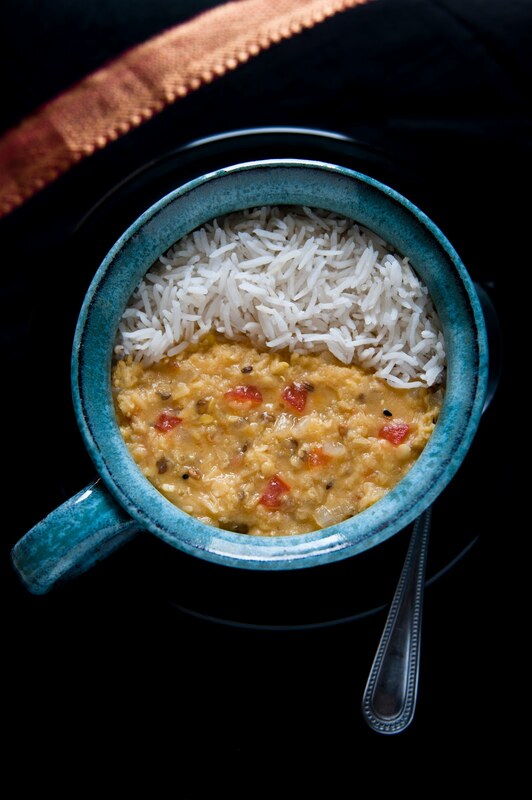 Loved your Bengali masoor dal. I have some whole soaking and I am gonna use your recipe to make it. Anna, I'm glad you're here and want to add to the conversation! What if I store ginger in vodka? Could I then make ginger-flavored cocktails with it?! Sounds interesting, no?! AA, I buy a *lot* of ginger, especially when it's on sale. Even though we consume a lot, it's near impossible to go through it in a couple of weeks. Is your ginger mature or young? Ours is huge and not really tender but not mature either. Suchi, good for you! My ginger is refrigerated or stored at lower than room temperature when it is shipped to my grocery store. It cannot last on the counter for too long. I'm guessing yours is more mature and intense in flavor than what we get here. Prativad, which part? Or all of it? DSM, I like the idea of a mesh bag! I haven't tried this masoor recipe with whole masoor. Let me know what it tastes like. Gabi made it with black beluga lentils and liked it. I don't see why it shouldn't work! Right. There was that matter of large knives, stabbing, cabbage, and bread, among other things. Nice tips......following ur space....do check out my space sometime! Manisha, I wonder! I make my own vanilla extract by putting 3-4 vanilla beans in a bottle of (cheap) vodka and leaving it for a month...it keeps forever. Ginger cocktails? Why ever not!You may be onto something--maybe even the cure for the common cold! What a helpful discovery that was! So thanks for sharing. :) I wonder, will that work for turmeric (not the powder but the real one), too? I wanted to preserve as many turmeric as possible so I could avoid buying from time to time. I stick mine into some dirt in a little flower pot. That way it stays alive and is always fresh when I dig it up to use as and when I need to. Just have the pot indoors in the winter. Works for scallions too . . . simple and effective.